I don't know about you but putting vinegar in my hair doesn't sound very appealing but apparently it is an effective means of cleansing and conditioning it, so here's how it turned out. I had heard to many people diluting apple cider vinegar to rinse their hair and add shine to their locks but never for cleansing and conditioning. So I was a bit hesitant to try this product but I was also very curious about how this product may potentially replace my shampoo and conditioning routine. I was fortunate enough to receive this product complimentary in my Influenster VoxBox for review purposes. The DPHUE Apple Cider Vinegar Rinse retails for $35.00 USD and is available at Sephora and other retailers. The rinse is simply packaged in a squeezable bottle with a fine tip opening for precise application. This product is intended to replace shampoo and conditioner. Additionally, it claims to have color-locking technology to maintain hair color and prevent damage from the elements. This product seems to be a blend of apple cider vinegar, a bit of some sort of soap or shampoo, and a blend of oils. Could this be something you can make at home? Possibly, if you can get the right proportions but frankly, this is more work than I'd like to commit to. Also, this product is formulated at specific pH, so it does not cause damage or make hair color run. I'm not much of a DIY kind of person, so I'll leave it to the experts to formulate my hair products. You may be concerned that with a liquid formula like this you will run out of product quite quickly but you really don't need much to do the work because you really only apply the product to the scalp. I have estimated based on my useage, that product will last for approximately 26 applications, give or take depending on how heavy handed you are. The best and suggested method of application is to get your hair wet, then ring out excess water. Apply the rinse in sections into the roots and on your scalp, then massage and leave it for 1-3 minutes. I was very skeptical that this product would do anything because it is just this simple liquid and by the way, it does smell like apple cider vinegar. It isn't a very strong scent but it's very prominently there. Don't worry though, your hair won't smell like it afterwards! I know this because my boyfriend happens to have the most acute and sensitive nose ever and when a fragrance is there he will tell me. He smelled my hair after I showered, unbeknownst to him I had used this rinse for the first time, and he didn't say anything! So I was paranoid about smelling like apple cider vinegar for no reason. As you massage the product into your scalp, you feel a texture of diluted shampoo. It does feel like it's cleansing your hair but there are no suds or bubbles, pretty strange sensation considering what we are accustomed to. So how does it perform as a substitute for shampoo and conditioner? It cleansed my hair shockingly well! The day I used this product I had slicked my hair back into a bun with some hair gel and I honestly didn't think this product would remove the gel at all. To my surprise after some massaging and leaving it on for a few minutes, the gel was easily removed! My scalp also felt very clean but not stripped of nutrients. I have been having some issues with buildup and dandruff in my hair because the significant reduction in washing my hair since I dyed it but after using this product is seemed to remove any build up and significantly reduce my dandruff issues. Speaking about hair color, you would think vinegar would completely strip my hair of color, especially because if I used regular (for non-color treated hair) shampoo my color runs pretty bad. This product is specifically formulated at a pH level where it doesn't harm hair color! It is so impressive that my hair did not run even the tiniest bit! Plus the apple cider vinegar makes your hair very shiny so it makes my color even more vibrant! Ok, so here is where I begin to get skeptical again. This product claims to be able to replace conditioner! With hair as color-treated as mine, I douse my hair in conditioner, hair masks, oils, you name it! It is dying for hydration and without it, it becomes a tangled mess! So after rinsing the product from my hair, I didn't feel any additional moisture and my hair didn't feel silky or soft. I was very tempted to use a conditioner but I decided to see it this truly worked. So after towel-drying my hair, I decided to brush it and it the brush went through it smoothly! It glided through my hair just like it would with conditioner! I was shocked and incredibly impressed! I guess the oils infused into this formula really was all I needed to condition my hair. WOW! I was extremely skeptical about the effectiveness of this product and all of it's claims but it really surpassed my expectations! 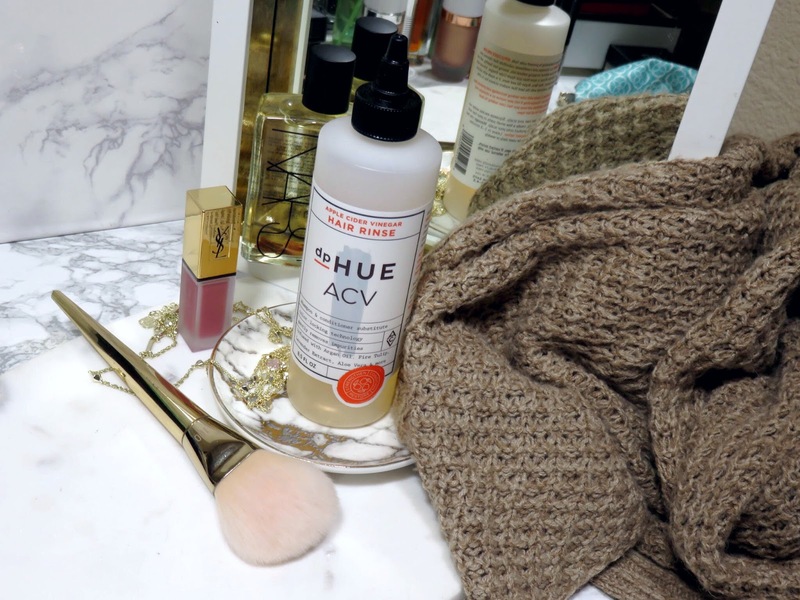 It has done an amazing job cleansing my hair while maintaining my color! I notice since I started using this product that my hair color remains vibrant and true for much longer. Additionally, it has eliminated my issues with dandruff and buildup at the roots of my hair! My hair feels very healthy and looks shiny. I honestly don't have any complaints about this product! It really has been a miracle for my color-treated hair and I expect to be purchasing many more bottles in the future!